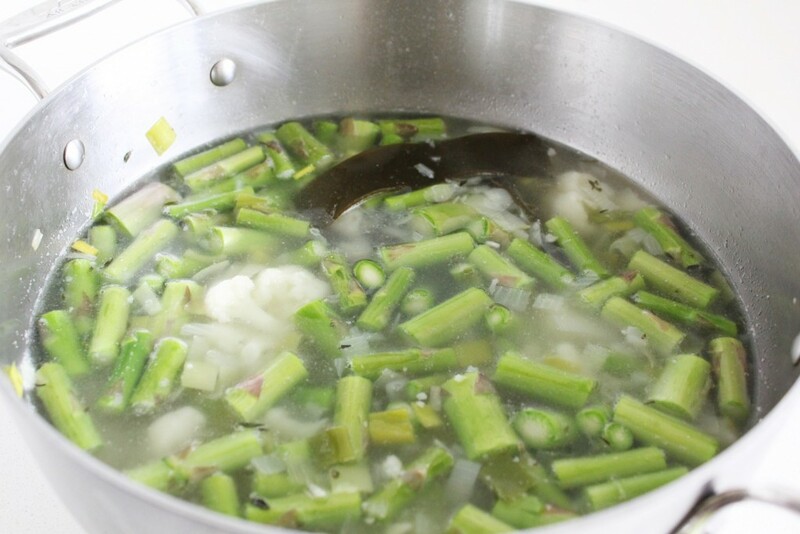 In the mean time I present you Princess Soup (Soupe Princesse) (Asparagus Soup). And it is as green as the cartoon frogs that kiss the Princesses. 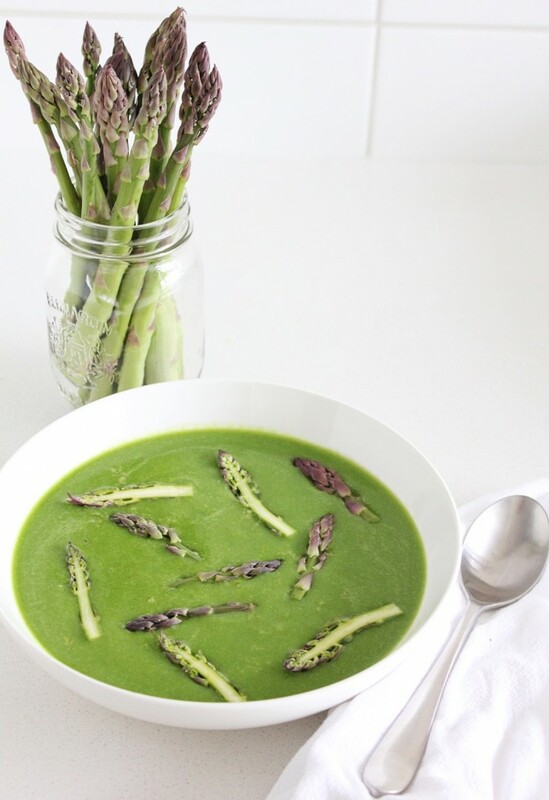 It is the soup equivalent of a green smoothie, full of asparagus, of course, but other veggies too. 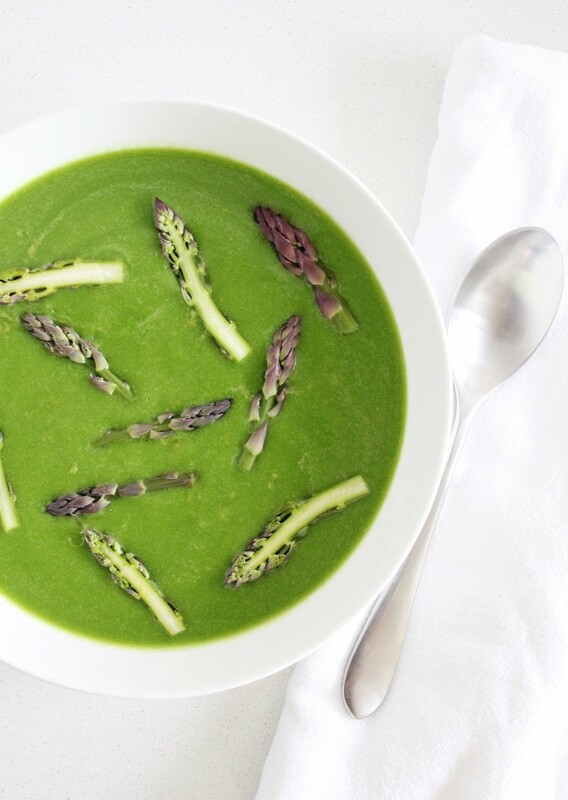 The trick to keeping this soup nice and green is to add the asparagus right at the end, before you purée it and to add the raw spinach right to the blender. This also keeps it tasting fresh and reminiscent of freshly steamed asparagus, as opposed to the asparagus that you forgot about in the steamer. The cauliflower adds a creamy texture (plus it is an anticancer Crucifer), the onion, leek and garlic add an indispensible savory note (and come from their own sulphurous family of anti-cancer properties, Allium), and the kombu brings umami flavour (and many minerals that our body wants and whispers for). Asparagus season is so short and the goal is to eat enough that you tire of it by the time it’s over, and don’t want to look at it again until next season. 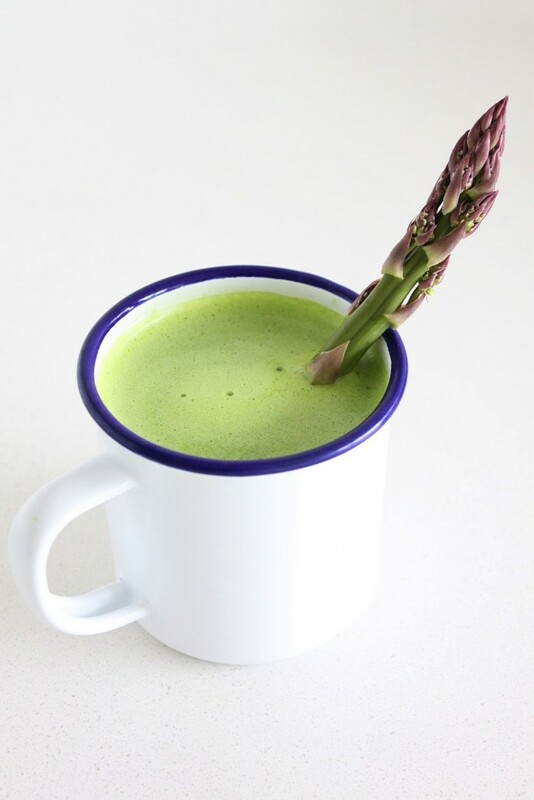 If you’re not already in it for its fresh, grassy flavour, or the fact that it brings spring with it, you might want to consider asparagus for its anticancer super powers. It is high in protein, contains large amounts of glutathione, an anticarcinogenic antioxidant-rich bioflavanoid that boosts your immune system. 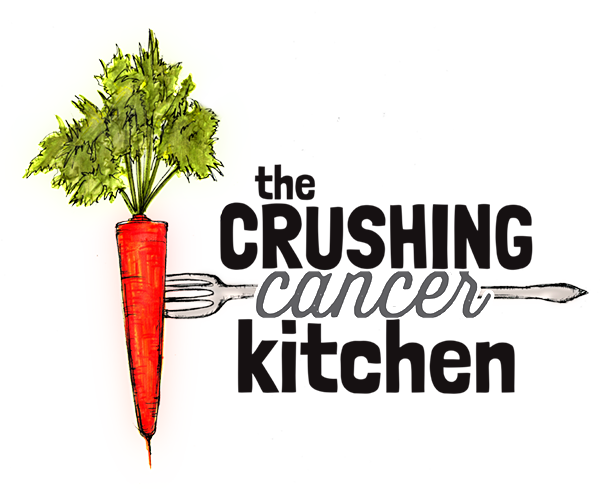 It helps oxygen move through your blood, and helps remove radiation from your body. Maybe this should be more of a superhero movie than a princess movie? 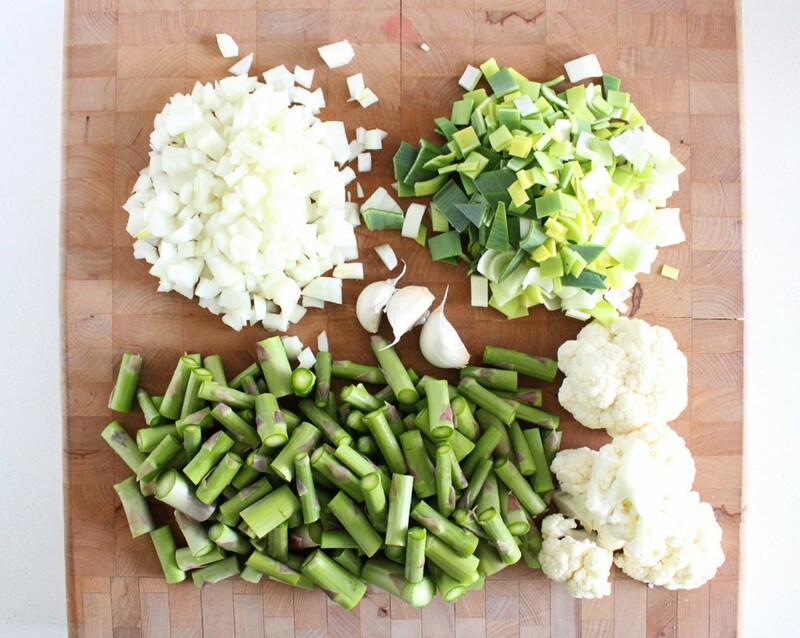 This is a simple soup that you can make year-round, depending on what is in season. 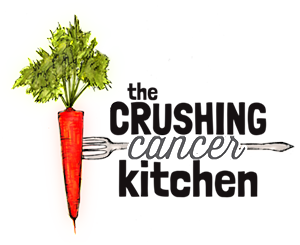 Outside of asparagus season, sub the asparagus for squash, sweet potato, broccoli, fresh artichokes, fresh tomatoes, Swiss chard, or whatever looks good at the farmers market. In a pot with the coconut oil and a splash of water, sauté the onion, leek and garlic until it all softens and becomes translucent. Add the cauliflower, thyme, kelp and water/stock. 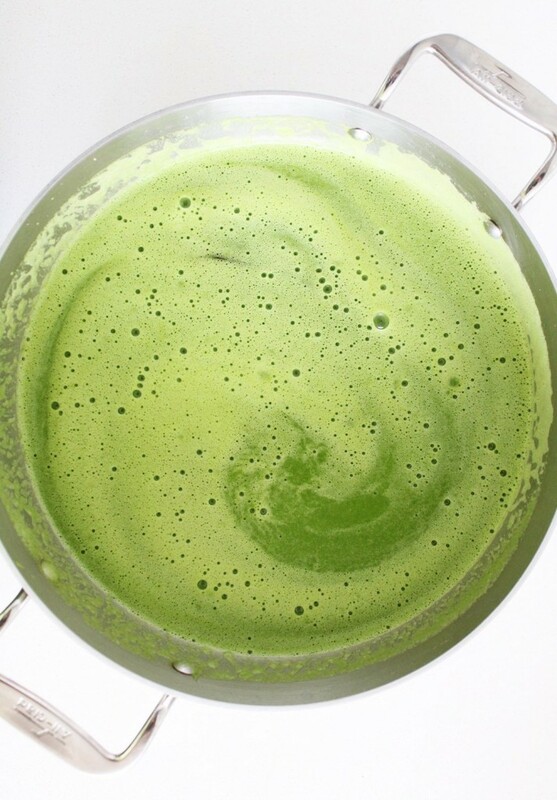 Bring to a simmer, season with sea(weed) salt and and continue to simmer until the cauliflower totally softens. Turn the heat off and add the asparagus. Remove but don't throw out the kombu and thyme sprigs. 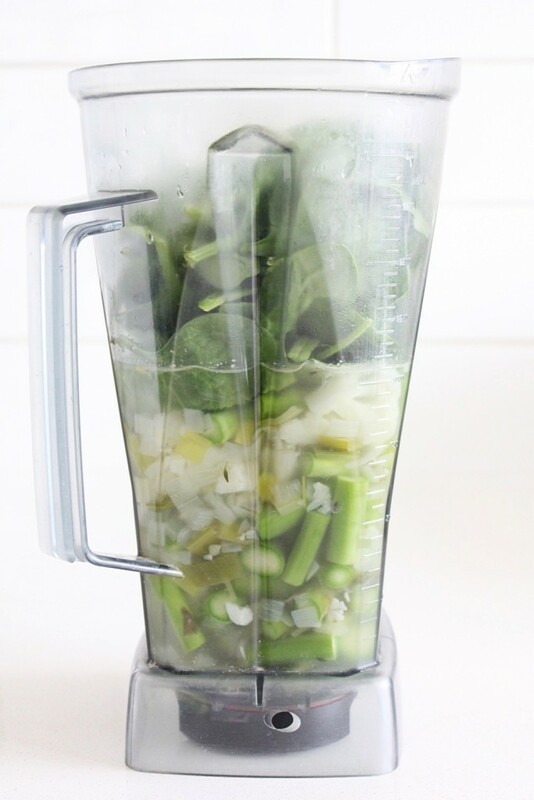 In a blender, in batches, blend the soup with the raw spinach. Once puréed, pour into a giant bowl to cool or back into the pot to reheat for dinner. Put the thyme and kombu back in, so that they can continue to infuse their flavour/minerals. 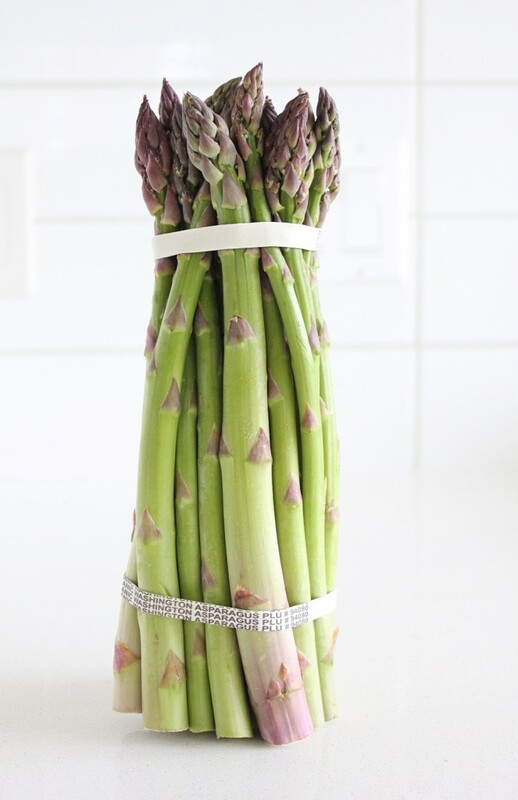 Heat up the amount that you're going to consume, finish with a squeeze of lemon juice and garnish with the raw asparagus crowns (cut them in half, lengthwise). The green depletes with time, acidity and heat so only heat up and add lemon juice to the amount you're going to eat, and freeze what you aren't going to consume within a few days.